Puzzlewood is an ancient woodland in the Forest of Dean offering picturesque walks between old moss-covered trees and boulders. Once the site of an Iron age settlement, it is now a popular shooting location for television and film. The recent instalment of the Star Wars film series, Episode VII, features Puzzlewood, as does BBC series Merlin, 2013 adventure film Jack the Giant Slayer and CBBC series Wizards vs. Aliens. Gloucester was a busy port in the 19th century, with trade ships easing across the canal waters to offload their cargoes. Many of the old dockland buildings remain, and the area has transformed into a popular destination within the city, replete with dockside restaurants and bars, the Gloucester Quays shopping outlet and busy markets. Hollywood descended upon the docks for the filming of Alice Through the Looking Glass, the follow up to Tim Burton’s big screen adaptation of Lewis Carroll’s classic adventure story, Alice In Wonderland. Other productions that have used the location include ‘70s BBC drama series The Onedin Line, as well as biographical film Amazing Grace. 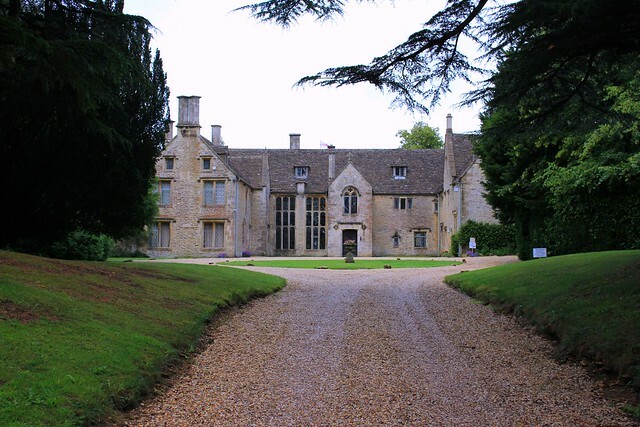 Chavenage House, an Elizabethan manor house constructed in Cotswold stone and located near Tetbury, has been featured in a number of television programmes and films. Most recently, drama series Poldark, following the story of Ross Poldark (Aidan Turner) as he returns to his Cornish tin mines after a spell in the army, utilised Chavenage as Trenwith House, the Poldark’s family home. The Chavenage chapel also doubled for Sawle church in the same series. Previously, Poirot – played with aplomb by David Suchet – sought to discover who murdered matriarch Emily Ingelthorpe in the ‘90s television adaptation of The Mysterious Affair at Styles. The episode takes place in Styles Court, in reality Chavenage House. Chavenage also featured as Midwinter Manor in costume drama Lark Rise to Candleford, and as Angel and Tess’s bedroom in the 2008 adaptation of Tess of the D’Urbervilles starring Eddie Redmayne and Gemma Arterton. 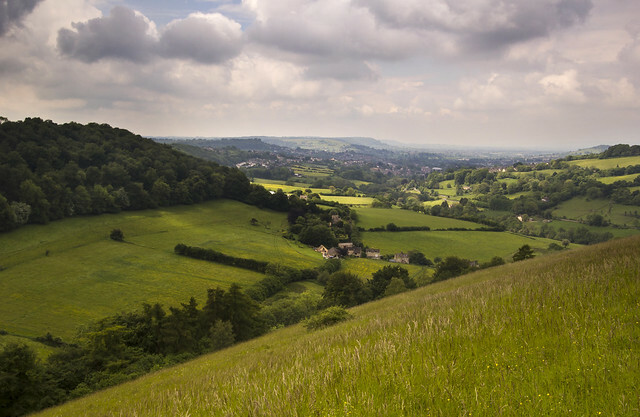 It also appeared in the 1998 television adaptation of Laurie Lee’s acclaimed novel, Cider with Rosie. Gloucester’s impressive gothic cathedral, built in the medieval period, has also proved a popular spot for location scouts. 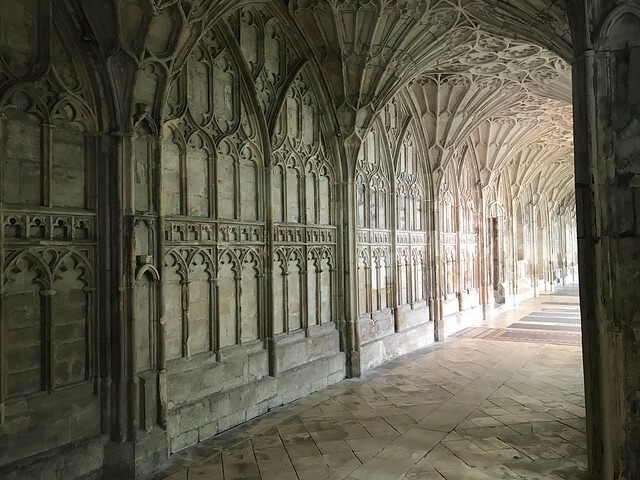 The stunning cloisters in the winding hallways of the cathedral appear throughout the Harry Potter film series, the adaptation of Hilary Mantel’s Tudor drama Wolf Hall and a special episode of hit show Sherlock. More recently Gloucester Cathedral was used as a backdrop for The Spanish Princess, a sequel to Philippa Gregory’s The White Princess. The miniseries follows the story of Henry VIII’s first wife Catherine of Aragon, played by Game of Thrones star Charlotte Hope. 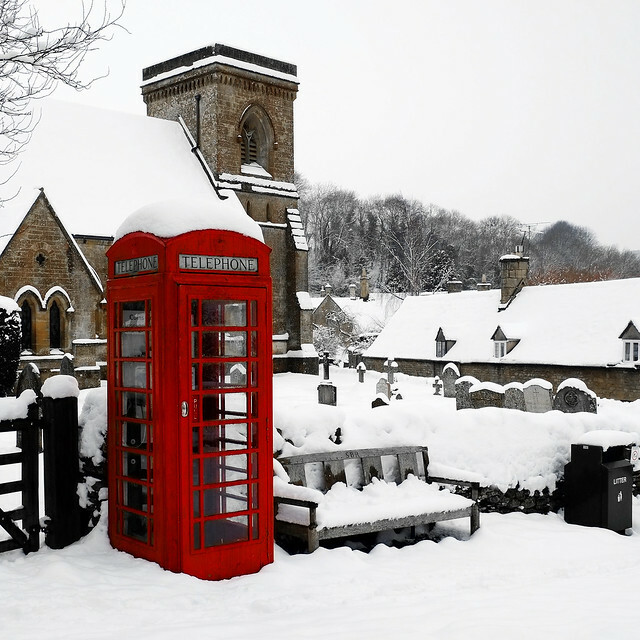 Picture-perfect Snowshill was covered in artificial snow for the filming of the hugely successful Bridget Jones’s Dairy. 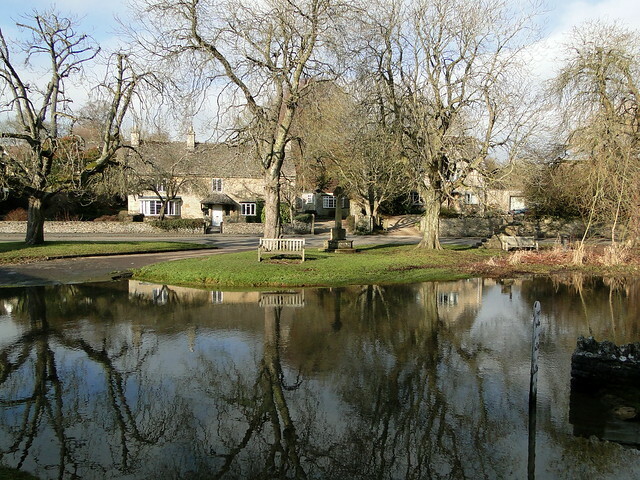 The north Cotswold village was used in the scenes where Bridget visits her parents at Christmas. 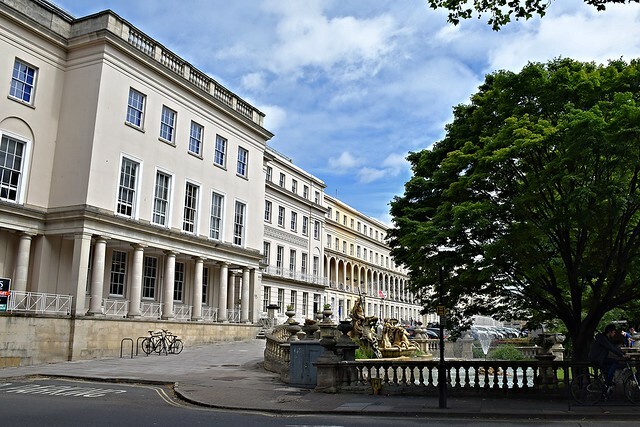 The spa town of Cheltenham’s regency architecture makes it particularly photogenic, and a number of television programs and films have utilised its buildings and leafy suburbs. The art deco interior of the Daffodil restaurant hosted a farcical scene from the BBC’s Sherlock. Prior to that, television series that have used locations in Cheltenham include ‘90s sitcom Next of Kin; ‘70s sitcom Butterflies; long-running soap Crossroads, which called the Golden Valley Hotel home for three years in the ‘80s; and ‘90s costume drama The House of Eliott. 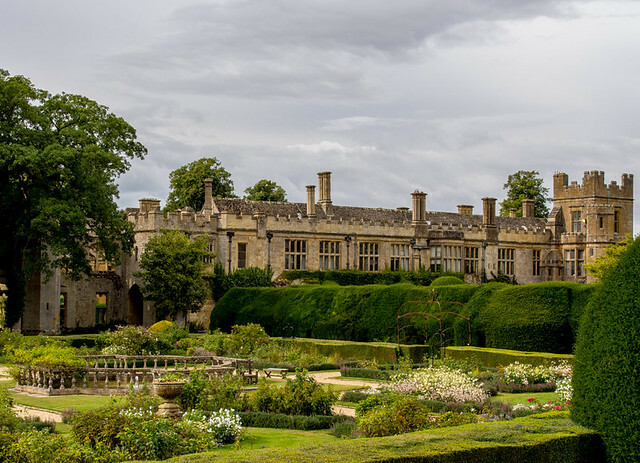 A 15th century castle in rural Gloucestershire, Sudeley’s grand medieval character has caught the eye of location scouts past and present. St Mary’s Church at Sudeley Castle was used for filming BBC period drama Father Brown. In the 90s, a television adaptation of Jane Austen’s Emma starring Kate Beckinsale used Sudeley as a location, as did the 2008 mini-series adaptation of Tess of the D’Urbervilles. 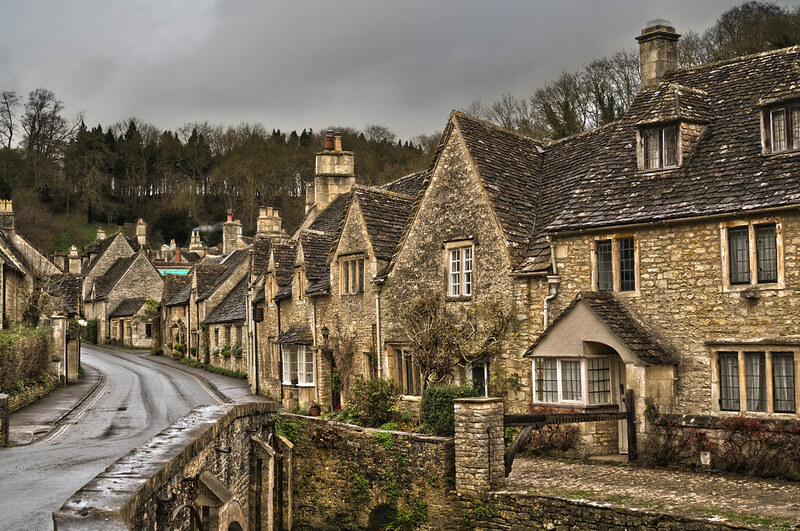 The honey-stoned Cotswold village of Castle Combe was established in the 14th century. Its olde English charm lead to it being used in the 2007 fantasy blockbuster Stardust, as well as another Poirot mystery, The Murder of Roger Ackroyd, adapted for television in 1989. The village of Blockley in Gloucestershire sits within the Cotswold district, a short drive way from Moreton-in-Marsh. It’s the home of St Peter and St Paul church, built in 1180 and recently utilised by period television drama Father Brown as St Mary’s Roman Catholic Church. The village vicarage is also used as Father Brown’s residence. 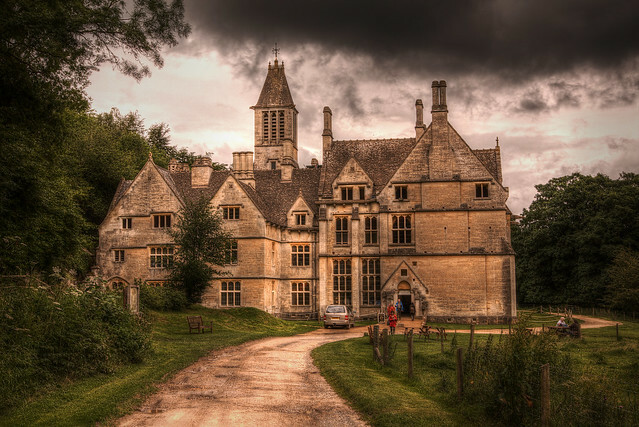 Woodchester Mansion is a 19th century Victorian building abandoned mid-construction in 1873. Because of Woodchester’s isolation and its Gothic character, it has attracted the attention of many with a belief in the paranormal, and ghost stories abound. That would explain why it has been featured on Most Haunted Live and Ghost Hunters International, then! It was also chosen as Dracula’s castle in the 2006 film adaptation of Stoker’s classic, featuring David Suchet as the eponymous vampire. Most recently, camera crews were spotted at Woodchester Mansion filming Netflix’s royal biopic, The Crown. Laurie Lee’s autobiographical novel Cider with Rosie about growing up in rural Gloucestershire has helped put the village of Slad on the map. Consequently, adaptations of the novel have often sought to remain faithful to the story by filming in the village, as well as nearby Stroud. The 1998 television adaptation starring Juliet Stevenson filmed in Stroud, and the 2015 adaptation starring Timothy Spall, Jessica Hynes and Samantha Morton has also been filmed in the area. Brum, a half-scale replica of a 1920s Austin ‘Chummy’ convertible, magically came to life in each episode of the ‘90s children’s show of the same name. He would then venture from his home in the Cotswold Motoring Museum in Bourton-on-the-Water to ‘Big Town’ (Birmingham). 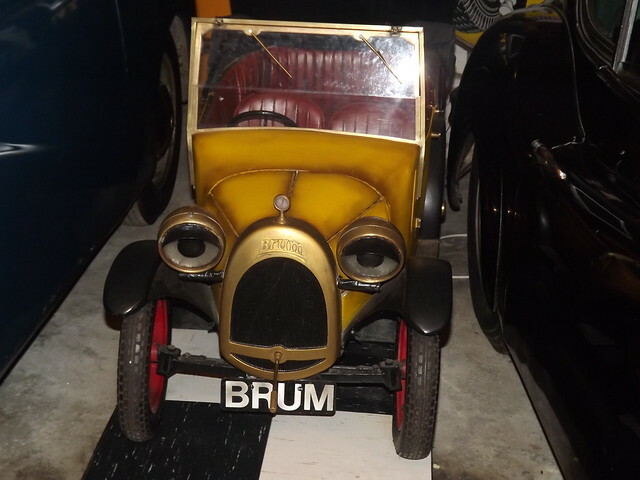 The motoring museum features in the opening, and, since the programme has been discontinued, Brum remains in the museum as a draw for children and the nostalgic alike. The village’s Model Village played a starring role in the family-friendly Nativity 3: Dude, Where’s My Donkey?! with Martin Clunes. 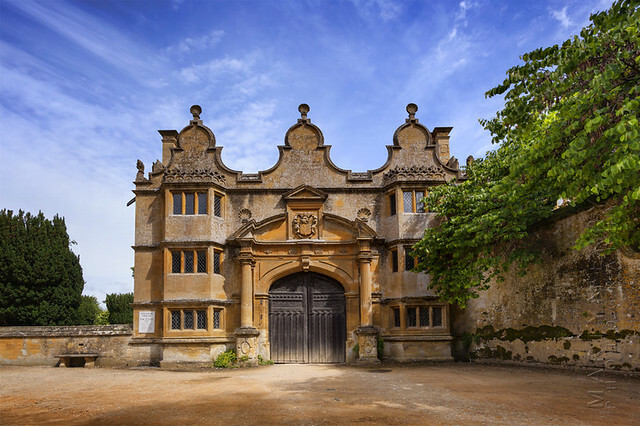 Stanway House, a Jacobean manor house in the village of Stanway, has proved a favourable setting for period dramas, with the 2004 film version of Vanity Fair, the 1996 television adaptation of Emma and The Libertine, the story of the egotistical second Earl of Rochester played by Johnny Depp, all filmed there. A recent screen adaptation of Hilary Mantel’s Wolf Hall also featured the impressive building. Eagle-eyed Downton Abbey fans will notice the peaceful Oxfordshire villages of Bampton, Swinbrook, Cogges and Shilton featured in their favourite period drama. 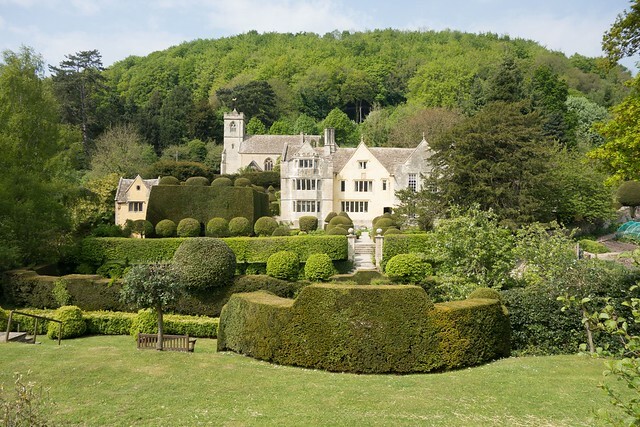 The Prince of Wales once described Owlpen as the epitome of the English village, and Owlpen Manor exemplifies its surroundings so much so that it was chosen as a location in 2008 film The Other Boleyn Girl starring Natalie Portman, Scarlett Johansson and Eric Bana. Owlpen Manor has also appeared in the following television series: What The Tudors Did For Us, Most Haunted, Countryfile, Watercolour Challenge and Tess of the d’Urbervilles. Most recently, the location was used for filming the Oscar-winning period drama, Phantom Thread starring Daniel Day-Lewis. A spectacular 17th century mansion, garden and deer park, Dyrham’s 270 acres lies in the southern Cotswolds around 15 miles from Bath and Bristol respectively. Dyrham Park has featured in both Tess of the d’Urbervilles and the ‘90s film adaptation of Ishiguro’s novel, The Remains of the Day. 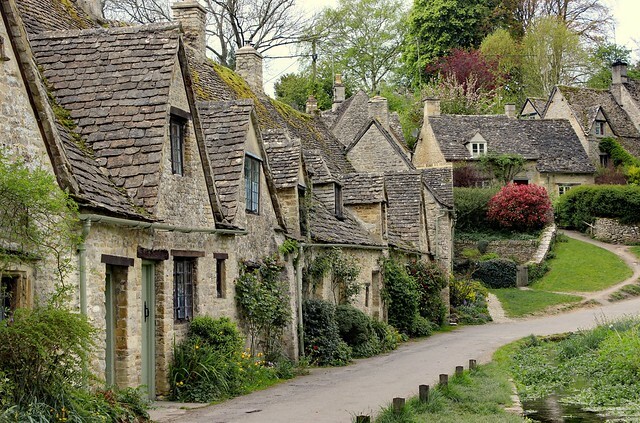 Perhaps the most photographed street in the Cotswolds, Arlington Row in Bibury was chosen for a scene in fantasy film Stardust. “I’ve got enemies in South Cerney, I’ve got enemies in North Cerney, I’ve got enemies in Cerney Wick. I’ve got enemies in Bourton on the Water.” BBC’s hilarious mockumentary This Country has got millions in stitches up and down the country. Filmed in Northleach, it follows the adventures of cousins Kerry and Kurtan as they battled the lows and even-lowers of growing up in the rural Cotswolds. Read our interview with creators Daisy and Charlie Cooper here.